A symbiotic relationship between two organisms in which both organisms benefit from the relationship. A phainopepla eats mistletoe berries. The bird, while perching, passes undigested seeds in droppings to host trees ensuring survival of both the mistletoe and the phainopepla. 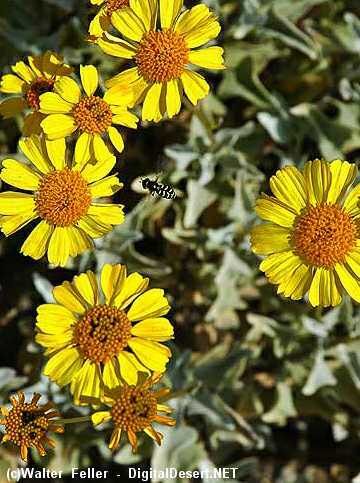 Mutualism occurs when this bee pollinates the blossoms of this brittlebush.